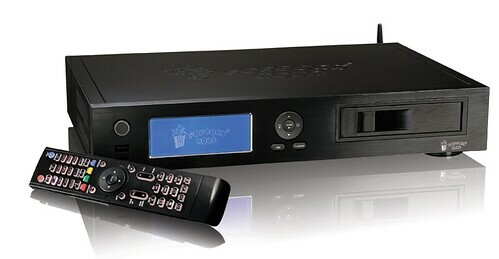 Are you one of those lucky people that has the PalmPre smartphone AND the SageTV HTPC software? 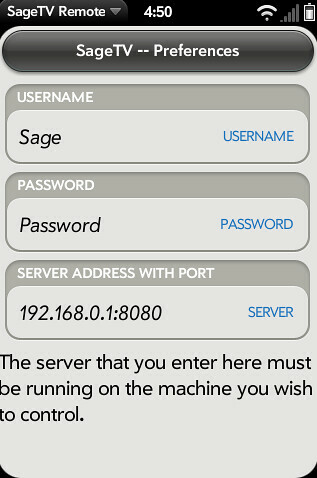 If you are you’ll want to check out this new PalmPre app that brings the SageTV web interface into the PalmPre. 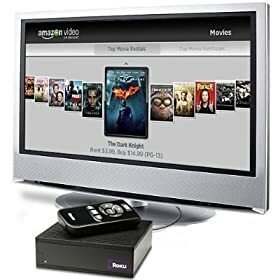 If you’re interested in the Roku – that little box that plays back Netflix, Amazon VOD and other online video content to your TV, you might want to check this deal out. Amazon (affiliate) has the Roku for $89.99 and free shipping. This is a refurbished unit (has 1yr warranty) but a good price. 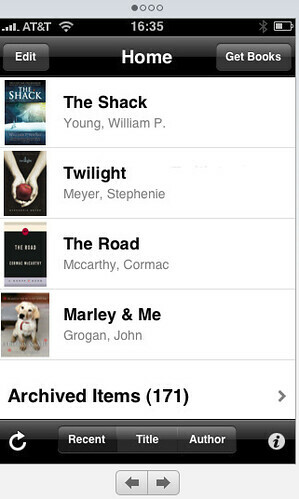 I’m definitely a fan of the eBook Reader devices. If you’re one who reads many books you’ll want something that’s easy on the eyes – you know, like paper. And e-ink is really the way to accomplish that since unlike LCD screens it doesn’t strain the eyes. But there are those times when it’s nice to “extend” your book to other devices. My wife has used the Kindle app on her iPhone to continue reading a book she’s been reading on the Kindle during times when she’s stuck waiting in line for example. Why is this a really big deal? I’m glad you asked. 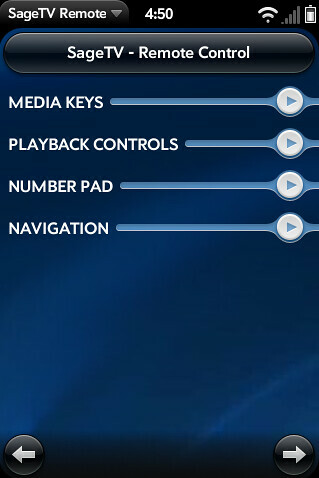 This will allow the Kindle books to work on TabletPC’s sporting Windows 7 and multi-touch. 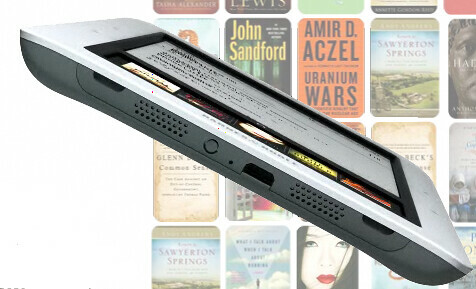 Not for me, but I know a lot of you want a multi-purpose computing device that also functions as a usable eBook Reader. I think this is potentially as big or bigger news compared to this week’s Barnes & Noble Nook eReader. Make no mistake, the day of the eBook breakthrough into mainstream is extremely near. Well that didn’t take long. Kindle’s first move after Barnes & Noble Nook announcement is to drop the cost of the “international” Kindle to match the Kindle 2 price of $259. It only makes sense to make the two the same price and honestly they should just make one Kindle 2 that does it all anyway. Not really a positive for Sprint since the international version sports an AT&T radio instead of the Sprint radio. I expect to see more of a response from Amazon in the next few months – more price drops and probably features to match the Nook’s current advantage. 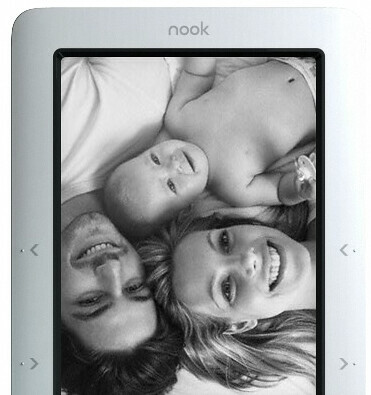 Don’t expect much though until Amazon see’s how the Nook really compares in real life. But if the Nook reviews are on the positive side Kindle will definitely have some responding to do. Those of you who follow me on GeekTonic know that I spend a lot of time with HTPCs, Media Players and all gadgets that can play back media. When Syabas announced the new Popcorn Hour C-200 I was intrigued. From the specs it was clear that this device came to the party prepared. It touts the ability to play back a multitude of different media file formats and it comes in a sleek-looking set-top device as well. So how well does this new Popcorn Hour C200 perform? Read on to find out. I’ve used the earlier version of the Popcorn Hour A-110 a little and have used the SageTV HD Theater as a media player (it works as both media player and/or full-blown HTPC), but until now have never seen a media player with as much promise and capability in the hardware department as the PCH C-200. I had a short post up when my review unit PCH C-200 arrived and originally planned to have the review out shortly after that, but I ran into a few bumps – partly due to firmware update issues and partly because of a rough patch in my schedule. 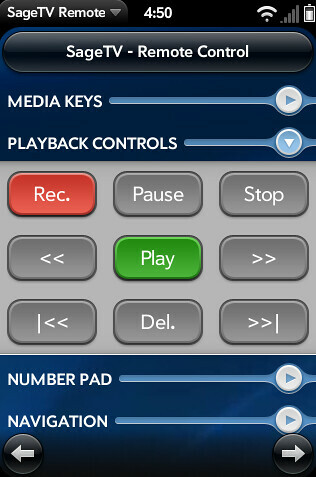 Regardless I have a lot to share about this incredibly media player and a lot of information you’ll find useful when deciding whether this is the one for you. One of the things Microsoft has had over competing HTPC software makers was the CableCard tuner which allows native tuning of all digital CableTV content whether it is encrypted or not. Yes you can do this with the Hauppauge HD-PVR as I continue to do very successfully, but CableCard doesn’t require you to have a separate, set-top Cable Box. The problem till now has been that CableCard only works on Microsoft Vista Media Center and Microsoft Windows 7 Media Center. SageTV, BeyondTV and the other HTPC software programs have been left out of the CableCard party. 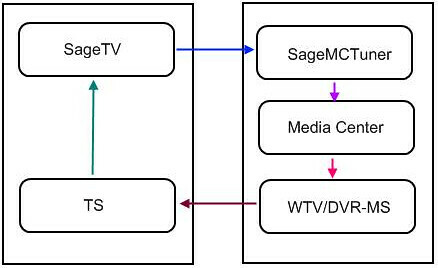 Well thanks to Andy Van Till, the developer known for DVRMSToolbox, FWChannel Proxy and many other HTPC apps for Media Center and SageTV we just might have that CableCard solution for SageTV. SageMCTuner turns Windows MediaCenter tuners into just another tuner for SageTV so that SageTV can access those CableCard tuners to record content and watch LiveTV. All of those details don’t really matter to most of us as long as the end result is a painless, trouble-free way to record with CableCard tuners in SageTV. I first caught wind of Andy’s work on this when he tipped us off in this blog post. This week he posted what he’s calling an “experimental release” where he’s hoping to find people who have CableCard tuners with the “relaxed” firmware, Windows Media Center AND SageTV so he can get some testing of this work and perfect it. Even EngadgetHD caught the importance of this and posted a write-up about it. If you’re interested in trying this out and helping Andy test it, don’t wait – head over to Andy’s babgvant blog to read more and get the download. And don’t forget to let us know here at GeekTonic how it goes! Cost: $259 – just like the current Kindle 2, this one costs $259. Keep in mind that you’ll be paying sales tax on this also since there’s a Barnes & Noble in about every place you might purchase from. 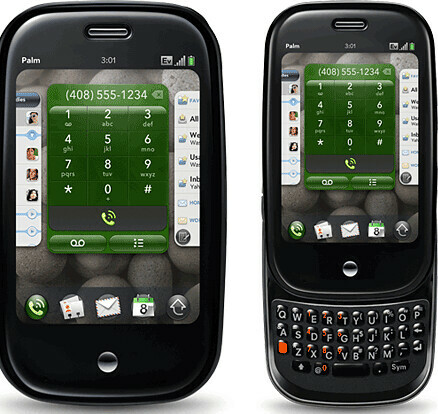 Powered By Android – They call it “android based” meaning its somewhat powered by Google’s android. Others Stuff – MP3 Player (you can listen to music & read from ebooks at same time) , built-in mono speaker, 3.5mm headphone jack & micro USB port. Font sizes can be adjusted for easy viewing. The back cover is replaceable/interchangeable with 4 color choices. Notation – supports note making, highlighting etc. 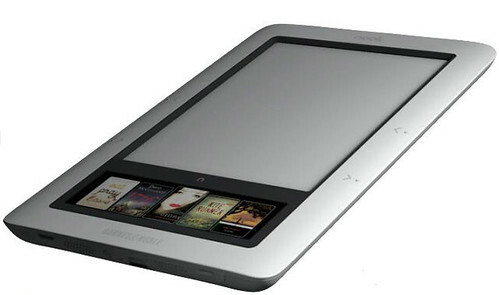 Sharing – A unique feature of the nook allows “lendme” which lets users share from nook to nook. The FAQ says that starting Nov. 30th, you can lend to and from any device with the Barnes & Noble eReader app, including PC, Mac OS®, BlackBerry®, iPhone™ and iPod® touch. All you need to know is your friend’s email address. You can lend many of your eBooks one time for a maximum of 14 days. When you use our LendMe™ technology, you will not be able to read your eBook while it is on loan, but you always get it back. Returns – I called customer support to ask this question and she claimed she had never heard of the Nook (that was the official line at least) so I found on the FAQ that there is a 14 days from receipt return policy (via store or online) with a 10% restocking fee that applies when the seal on the box/shrink-wrap is opened. I kind of favor Amazon as a retailer for a few reasons. One of the big ones though is that I don’t have to pay sales tax on the Amazon device or books which I likely will have to do with the nook. Obviously this doesn’t put the price at $150 or $99 like many GeekTonic readers have said needs to happen before they’ll consider biting. But it does provide some very powerful competition that the Kindle frankly didn’t have until now in my opinion. I’m late with the TV Premieres guide this week, but since Sunday through Tuesday don’t have much exciting to talk about I think that’s okay. We’re now into that period of the TV season where few new premieres are popping up. Fortunately for us there is a gem here and there worth checking out – this week from USA. Lock n’ Load (8pm on Showtime – Available in HD) – A reality series from Showtime. I call this one a *yawn*, but that may because of my reality TV series exhaustion. 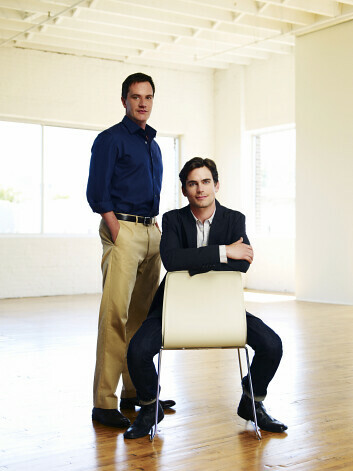 White Collar (10pm on USA – Available in HD) – White Collar is a new series on USA that the Kansas City TV critic, Aaron Barnhart calls “TV’s best new drama.” From the clips I saw I agree that this will be a good one so fire up those DVRs and HTPCs and be sure and let me know what you think. I say that with this caveat: White Collar uses a similar formula as does Monk, Burn Notice and other popular series on USA.